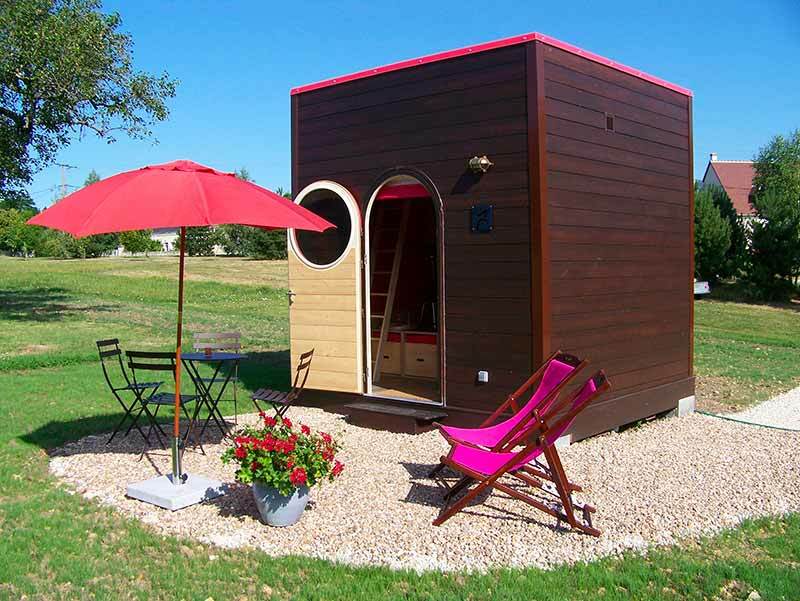 The carré d’étoile can be captured in one sentence, a mini accommodation with a maximum comfort! Entering in the cube of 9m2, you will be surprised by the cleverness of the interior decoration. Here you can move the walls to make appear the kitchen or the shower. Climb the ladder and discover the bed on the mezzanine, with a large window in the roof for a night of cocooning under the stars. 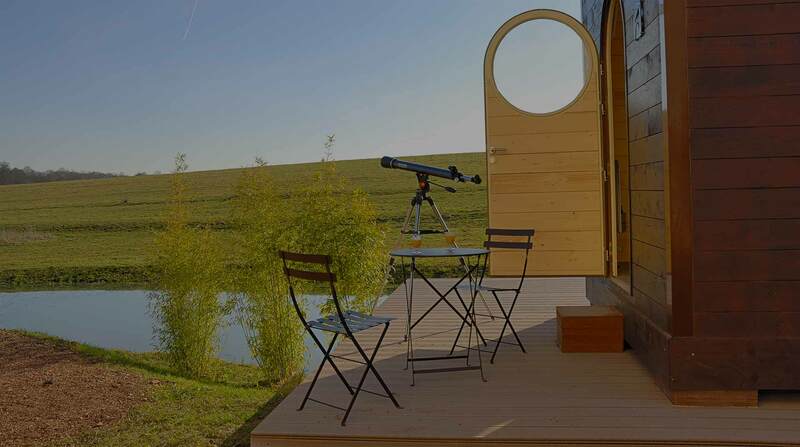 This accommodation fully made of wood is ideal for those who want to keep both feet on the ground but their head in the stars!